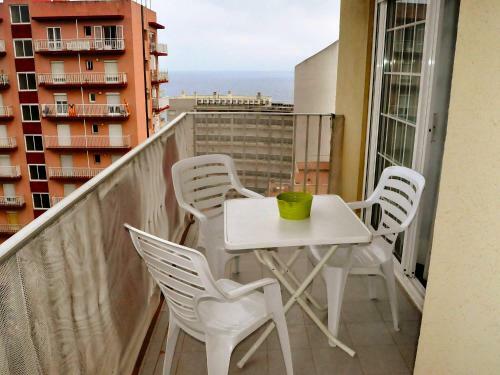 Built in 2006, this apartment block is in the centre of Blanes, 50 m from the beach. Apt. 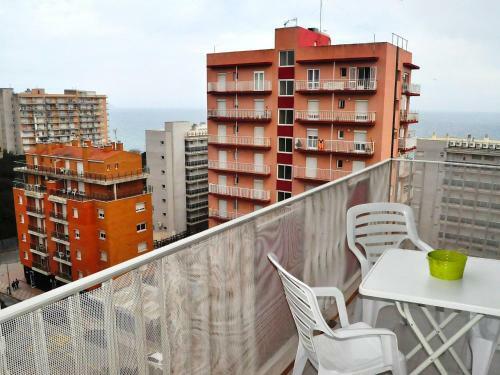 Esther is a 2-room apartment 45 m² on the 8th floor, with a living/dining room, a kitchen, a bathroom and one bedroom. 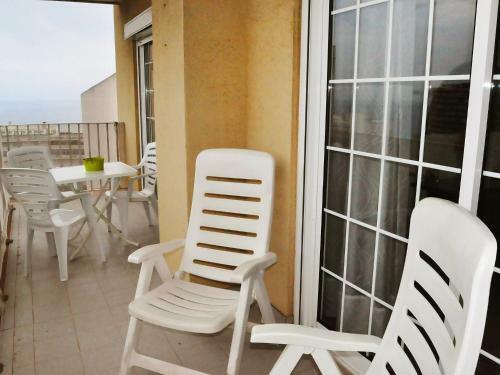 It has the capacity to accommodate four guests and provides then with access to a lift, a washing machine and a tumble dryer. 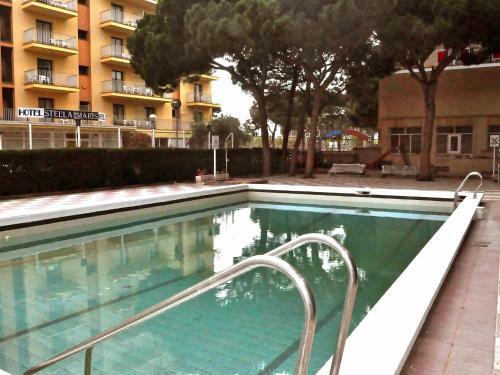 For shared use there is a swimming pool, while public parking is available on the road. Please note that the property is suitable for families. 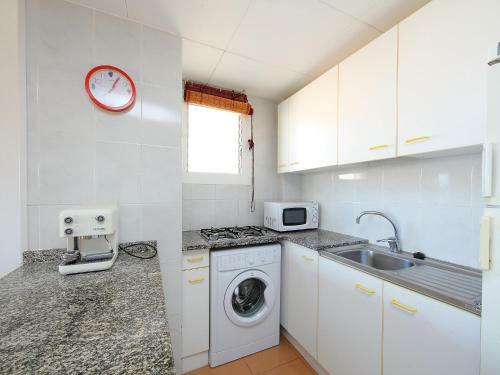 Shop, grocers 20 m, supermarket 50 m, restaurant 20 m, sandy beach "Playa S'Abanell Blanes" 50 m. Golf course 21 km, tennis 200 m. Nearby attractions: Waterworld 5 km, Marineland 3 km, Jardín Botánico Marimurtra 2 km, Jardín Botánico Pinya de Rosa 3 km.